The idea to create the Global Network on Financial Geography (FinGeo) was born in 2015. As of January 2018, FinGeo has close to 425 members located in 46 countries. The largest number of our members work in the UK, followed by the United States and Germany. One third of our members are women and two thirds are men. 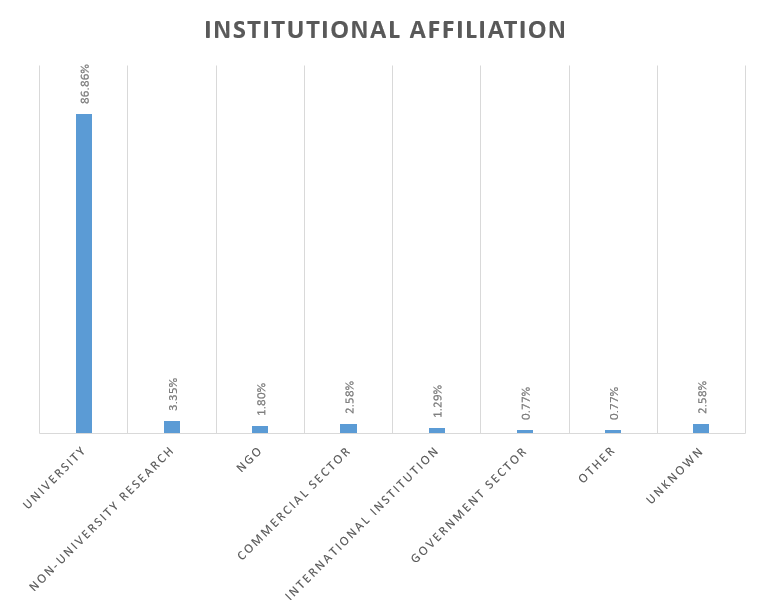 While the majority of our members are based at universities, about 13% work in non-academic environments such as international institutions, the commercial or the government sector. 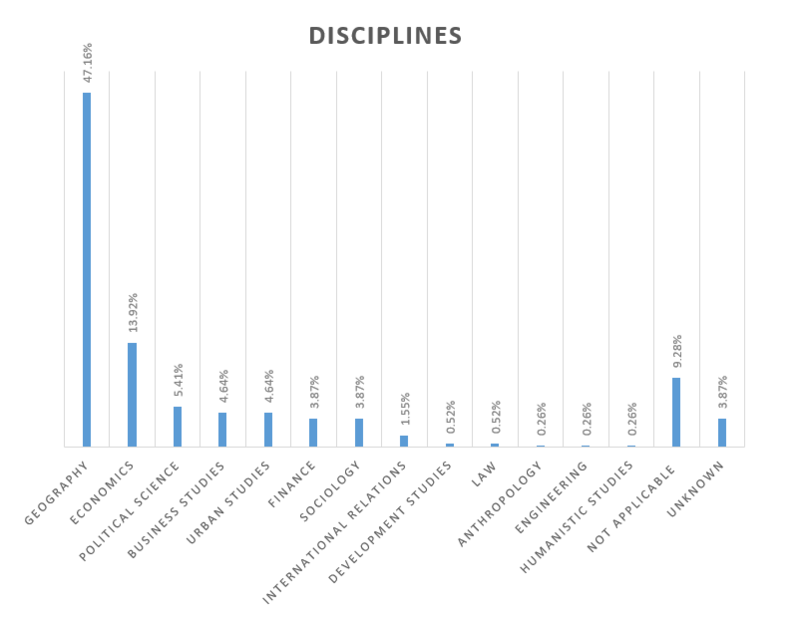 60% of our members hold an academic title and work in a large variety of disciplines, ranging from geography (47%) to economics (14%), urban studies (5%), finance (4%) and international relations (1.5%). As our mission states, finance is one of the most globalised and networked phenomena in the world and in order to understand finance in its complexity we need a global research network. With growing, and increasingly diverse, international and interdisciplinary membership, we are moving in the right direction.